The Rest of the Youssefpour story. So, it turns out that Mike Youssefpour didn't go to the doctor on the coast that night. He drove his stick shift truck one armed back to LA and went to the doctor 2 days later(with no pain killers yet!). 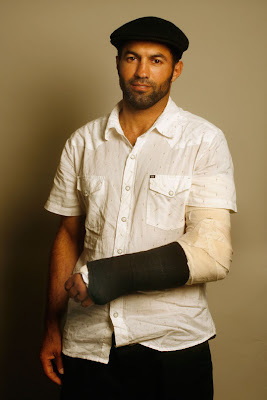 He walked in and said that he thought that he might have broken his wrist. When he held it up for them to see, they said, "You think?". They did an x-ray and it was for sure broken. They wanted to operate and Mike said the only way they could operate was with him on no pain killers and Mike wanted to be awake. The Doctor said he couldn't do that, it would be inhumane and probably have some liability issues. The Dr. agreed to try to set it without pain killers. He put Mike's arm in one of those elevated traction sling dealies and put it back into position with Mike screaming obscenities all the while. Yikes! 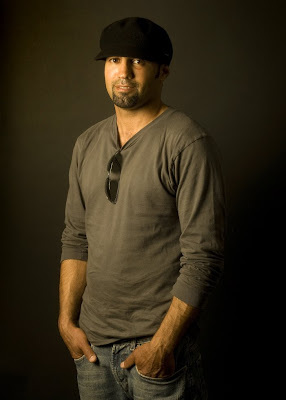 Mike Youssefpour is a Badass! There are plenty of crazy stories about our friend Mike Youssefpour. He's an eccentric dude and has a lot of little idiosyncrasies, rituals and phobias. I love the guy, he's funny and really cares about things and friends. Saw him two nights ago at the Romona Rumble contest as I was walking to my car after shooting photos. He had his wrist wrapped in ice and when he showed his wrist to me, I was amazed he wasn't at the ER, his wrist was tweaked! Broken or dislocated, it was bent. He informed me that he had done it earlier in the day and gone to Tri City hospital in Oceanside some 40 miles away, got tired of the wait in the ER and drove straight back to the contest. Mike doesn't take pain killers, he's gnarly like that. He then followed me back the 40 miles back on country curvy roads to Encinitas where he was supposedly going to an Urgent Care. Maybe he did, maybe he didn't. 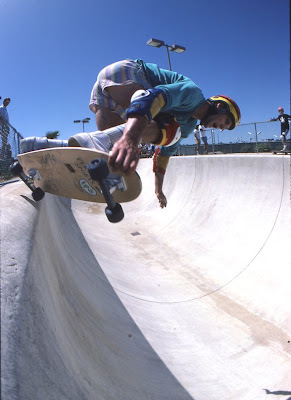 In the late 70s Chris Strople was considered to be one of the best skaters in the world, I always thought that. 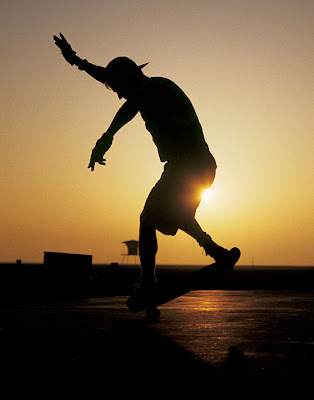 He was at the Del Mar Skate Ranch from its opening day and even before it opened. I spent a lot of time with Chris and Tom "Wally" Inouye and witnessed some heavy moments. Chris is skating again and the skate world is that much happier. I shot this photo in DMSR's halfpipe in early 80s and edgers don't get much edgier than this! This is about as close as you can come without breaking your lens and getting a shot to the face. Rick McCrank wasn't trying to hit me, one just kind of got a way from him. People say there are no seasons in So Cal, the changes are just subtle. I was born here and I can feel a little bit of chill in the morning air. I put on a thin sweater last night, I am a wuss. Summer's fading. This is a photo of Per Welinder at the beach many years ago. Enjoy the weather Friends. So long Ray, we will all miss you and your wonderful spirit. Digging through my old photos and found this jewel. 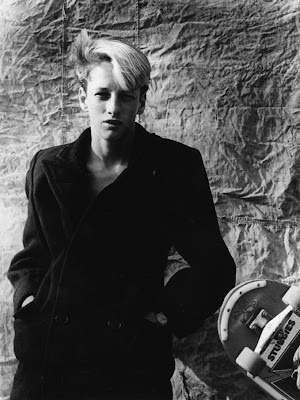 Tony Hawk portrait at Del Mar Skate Ranch, 1980s.